If you are in the market for a stylish SUV with a third-row seating area, it is difficult to overlook the impressive style of the 2018 Honda Pilot. The Pilot has been around for years as a popular alternative to a minivan, but the 2018 model features some excellent updates that may place this SUV at the top of your list of considerations. The new exterior has been overhauled so that it no longer has a cube-like body shape. In addition, there are some rumors that a smaller version of the Pilot in a car-like style may be available later in 2018. If you are interested in test driving the 2018 Pilot at Bell Honda, you may want to take a closer look at the three primary trim levels available. There are two EX-L trim levels as well as an LX trim level that you can choose from. The LX is the most affordable trim level. The primary difference between the two EX-L trim levels is a rear entertainment area in the most advanced trim level available. These trim levels are all available in eight exterior colors and three interior colors. Interior features found in all three trim levels include a backup camera, a keyless ignition feature, audio controls and cruise control on the steering wheel, power windows and heated mirrors. 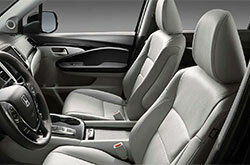 The two higher end trim levels have power adjustable front seats and have leather as a standard interior material. 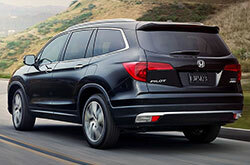 The Honda Pilot for 2018 has 3.5-liter, six-cylinder engine as a base type in all three trim levels. This engine provides drivers with 280 horsepower and 262 foot-pounds of torque. Adding to your driving experience, the Pilot also has a six-speed automatic transmission with all-wheel drive in all trim levels. A center limited slip differential as well as both traction and stability control are also available in all trim levels. While the Pilot is undeniably a popular vehicle choice for those looking for a family vehicle or who otherwise need ample passenger seating space, it is nonetheless a pleasure to drive. Between its excellent power and performance capabilities and its functional comfort and convenience features, the driver and passengers alike may enjoy all that the Pilot offers. 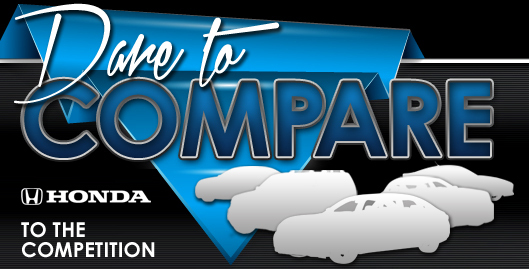 At your local Honda dealership, you can test drive each trim level to compare the overall driving experience that they provide. Drivers who plan to drive the Pilot around town regularly or haul loved ones may be interested to learn how the Pilot ranks in the area of safety. When you stop by to take a test drive, you will be able to learn more about different safety features available. These features that are standard in all Pilot trim levels include auto delay off headlights, child seat anchors, child safety door locks, an engine immobilizer, numerous airbags with a passenger seat deactivation sensor, tire pressure monitoring, front disc brakes, ventilated rear brakes and more. Some trim levels also have fog lights, a post-collision safety system, a blind spot accident avoidance feature and several other safety upgrades. The Honda Pilot for 2018 is a force to be reckoned with on the road. 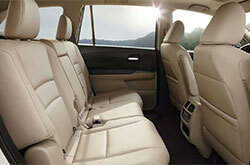 For anyone is in the market to buy a larger SUV with a third row of seating, the Pilot is worth taking a closer look at.